Pet Friendly Holidays Carmarthen - Penlan Farm Cottage is situated on a small holding with its own woodland. Take in the stunning scenery with its panoramic views. 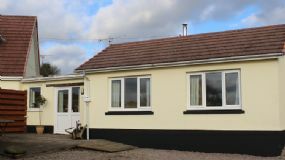 The self-catering cottage is just north of the small town of St. Clears on the river Taf. Carmarthen is 10 miles to the east, with a modern shopping centre. Property includes BBQ. Electric included. Bed linen and towels, Welcome pack. 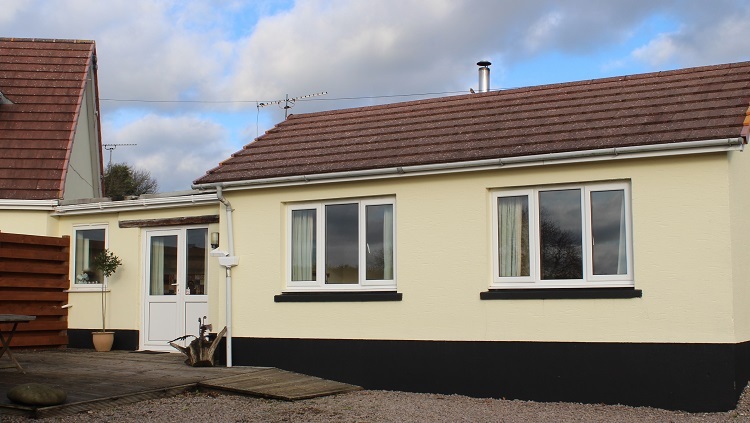 This dog friendly cottage has 1 double Bedrooms & 1 twin room - there is a Lounge area, Kitchen diner with Fridge / freezer, electric cooker & microwave. Shower room with toilet. Propery has central heating and a TV with Freeview and integrated DVD, CD player . Local Area - Sandy Beaches 15 minutes drive away. Castles. Adventure Centres. Surfing. Woollen mill. Craft Centres. Botanical Gardens. Theme Parks. Folly Farm. Boat trips. Carmarthen - with modern shops and culture. 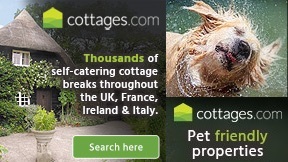 Click on the banner for more dog friendly cottages in Lincolnshire.